On Saturday 21 April, 2012 the Istituzione Bosco e Grandi Parchi of the Municipality of Venice presents the land art installation Wundergarten, planned and realised by the Israeli artist and architect Uri De Beer. On this occasion we remember his latest work “The Water Fates’ Flowers” – a monumental floating installation as a contemporary quotation of Monet’s Water Lilies in their infinite chromatic tonalities – which consists in a series of transparent platforms covered with brightly coloured duds. 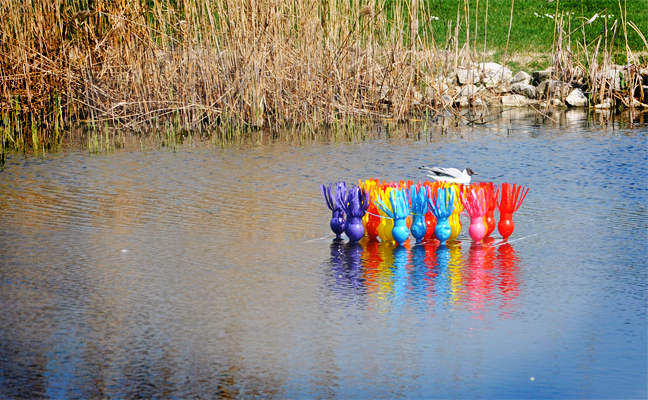 Due to the public success of the art work in 2011, the installation floats again in the Lake of Egrets, an artificial water area inside the San Giuliano Park until November. 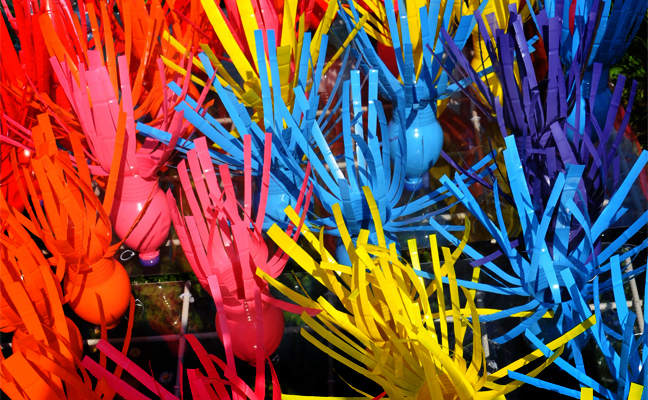 These environment works count among a series of eco-art installations named Plastiflora (plastic + flora) works for which the artist assembles already used soft plastic bottles of mineral water and of any other kind of drink. In this contest one should remember De Beer’s studies at the Kunstakademie of Dusseldorf and one of his favourite teachers: Joseph Beuys. The choice of the material reflects De Beer’s engagement in recycling, in ecological and social issues and in his conception of creating art for the community together with the community. His new land art proposal “Wundergarten” is an innovative ecological, economical and social landscape design which covers a soft hill with a brightly coloured carpet of flowers. Resuming the various perspectives of his artistic concept, De Beer succeeds in connecting four categorical imperatives which ought to be adopted by the contemporary art world. “The Water Fates’ Flowers” represent an environmental artwork due to scientific principles but site specific coordinates. The artist maintained a low level of production costs by using re-used materials. He integrated people of different origin, status and education in the process of realization which is a rarely practised social commitment. The event, conceived and curated by Elis Saint-Juste Gluckstein, takes place in collaboration with the Department of Educational Politics of the City of Venice in the contest of the program “Educational itineraries”. Due to the laboratories in numerous schools in Venice and Mestre a remarkable quantity of bottles could be transformed into flowers which are the prime matter of De Beer’s installation. 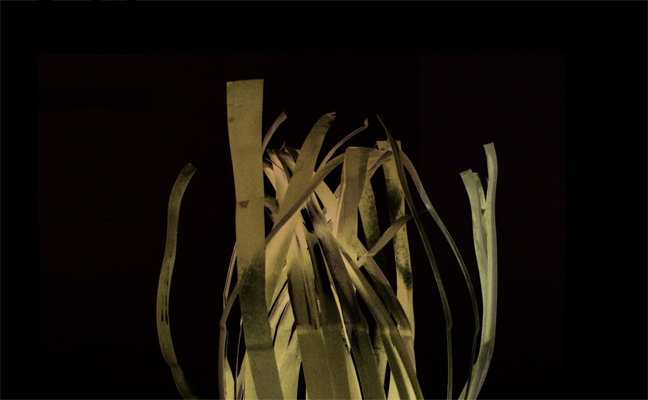 Following to a similar experience in 2011, Spazio Thetis promotes Uri De Beer’s “Wundergarten” as a project that reconciles important artistic with environmental and social criteria. Special Thanks for the financial support go to Banca Santo Stefano and to San Marco Colorificio, and to the Circolo Vele di Mestre and Arte in Bragora for logistic assistance. The sculpture class of the artist Tarshito, Academy of Fine Arts in Venice, assisted in the process of realisation of the eco-garden. “The Water Fates’ Flowers” and “Wundergaretn” belong to the first chapter of the Venetian itinerary Contaminating – For the upcoming Thought, a cultural urban mise en scène in twelve different sites, with twelve plots and twenty five internatinal protagonists spread over the city of Venice, Islands and Lagoons conceived, planned and curated by the TheSeven.